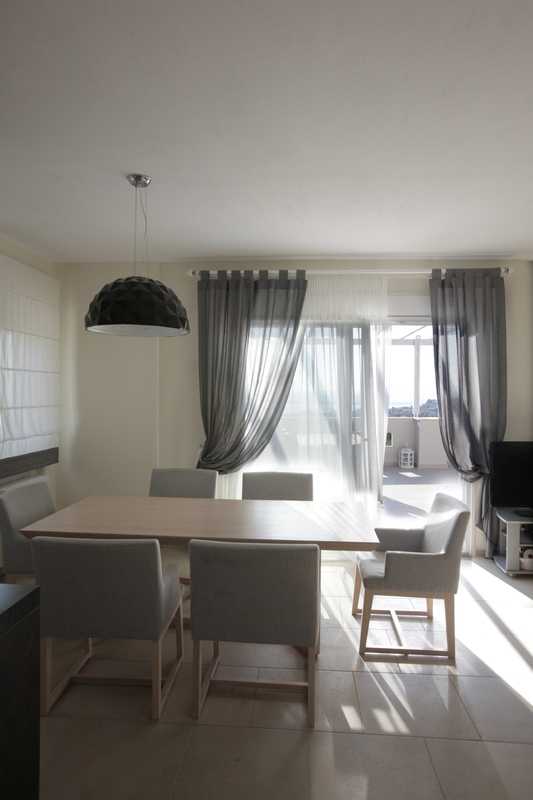 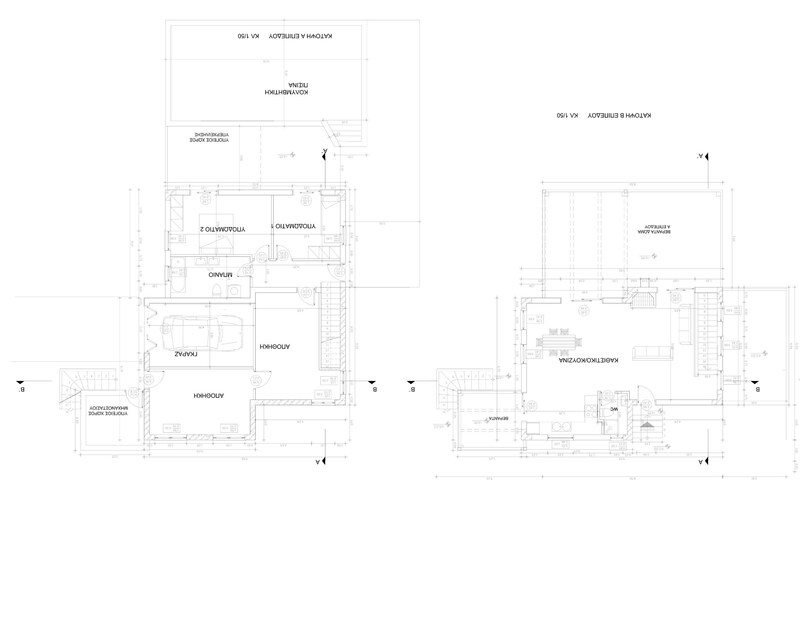 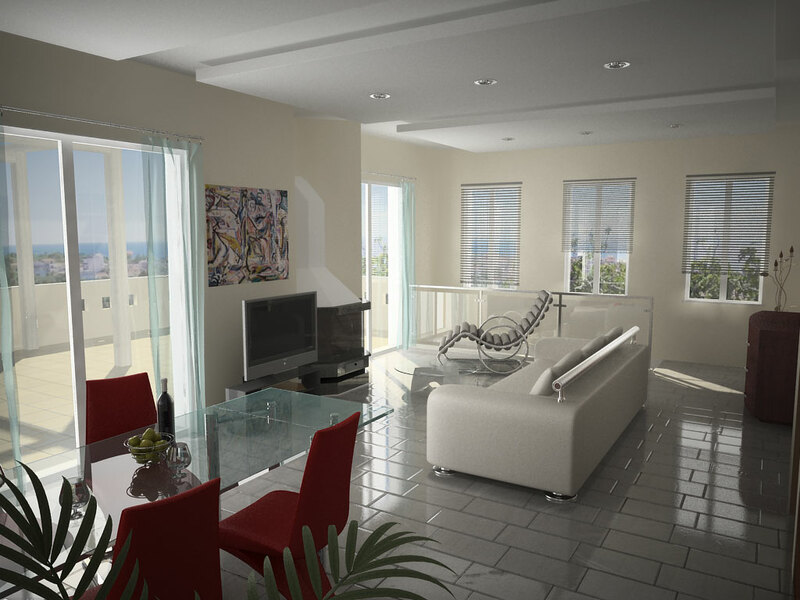 1st Ground floor with living room, kitchen and WC in 58,89 m2. 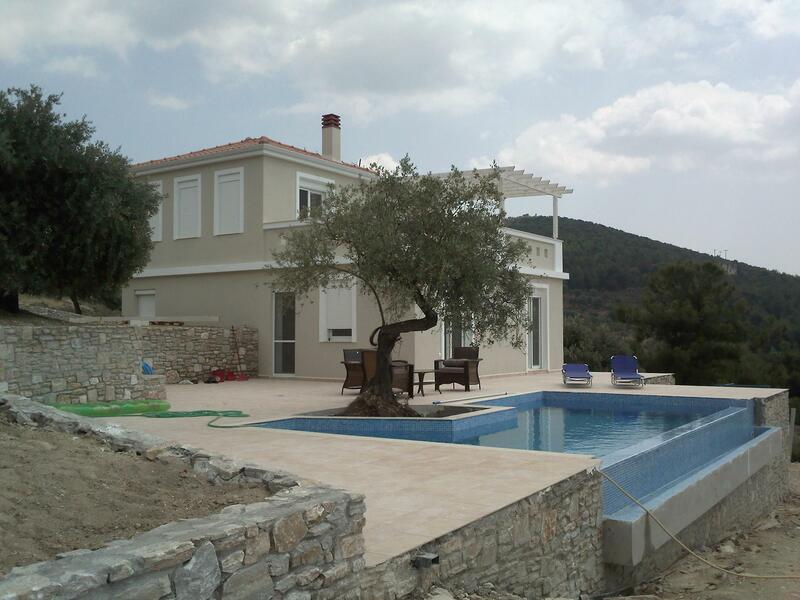 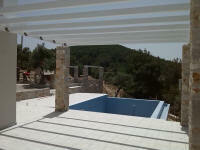 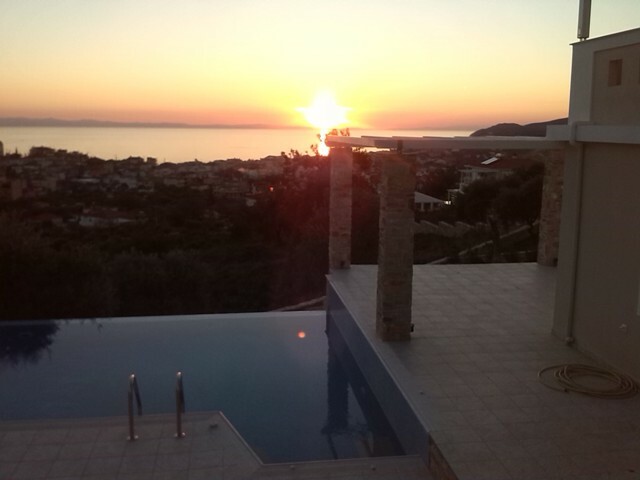 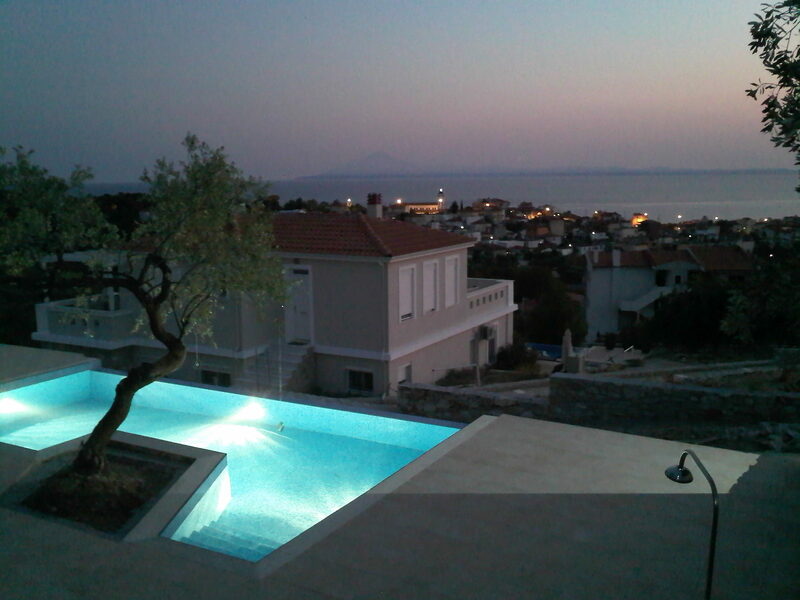 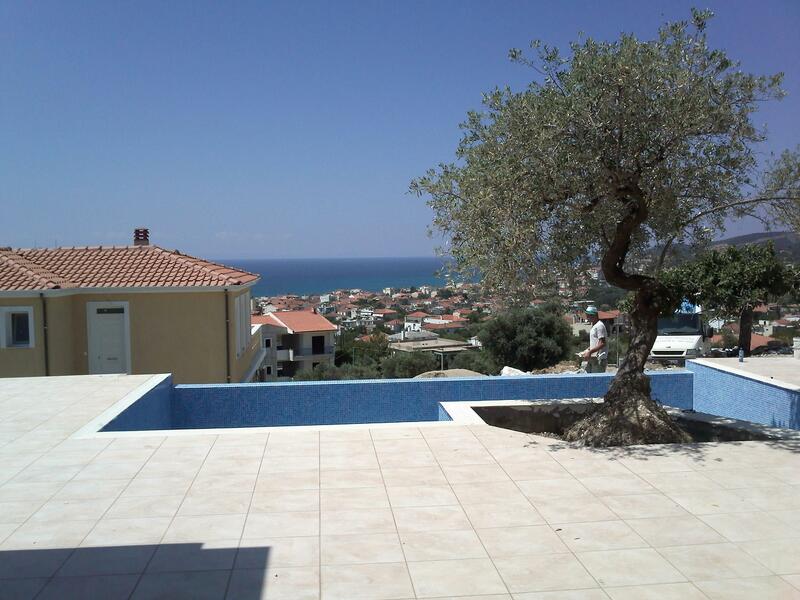 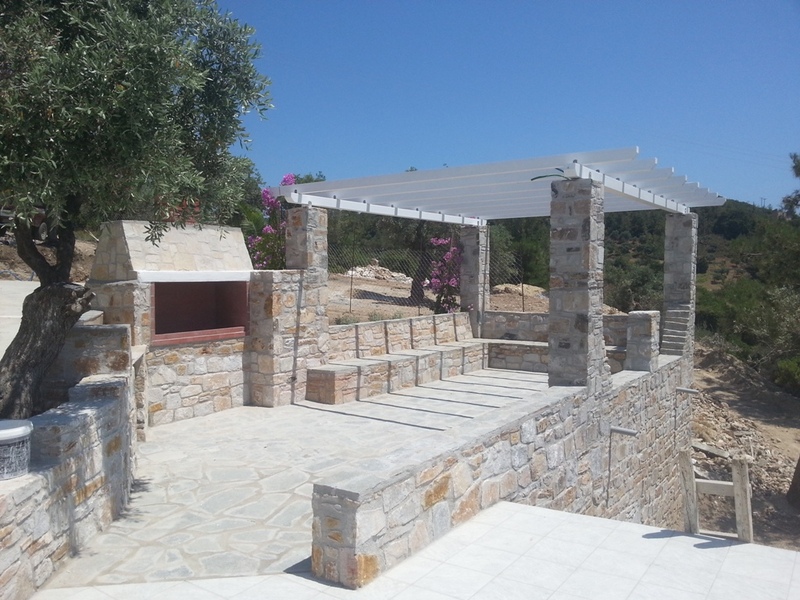 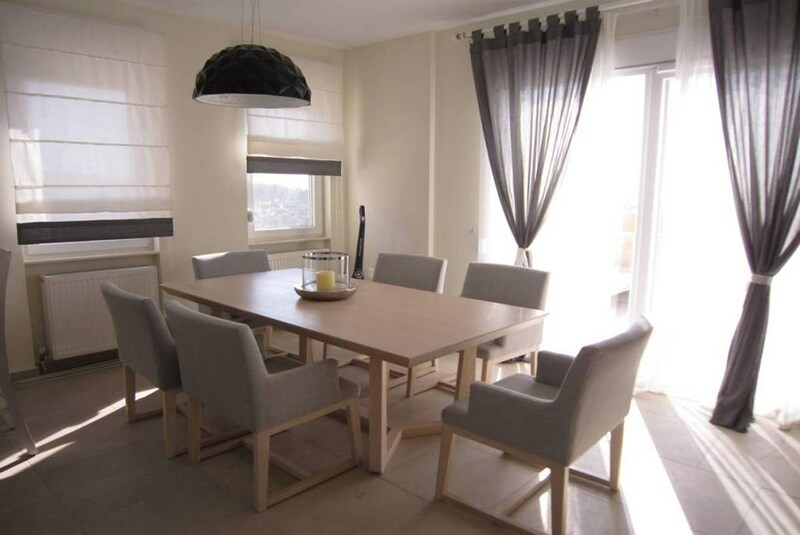 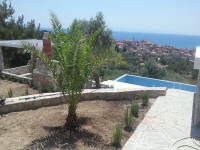 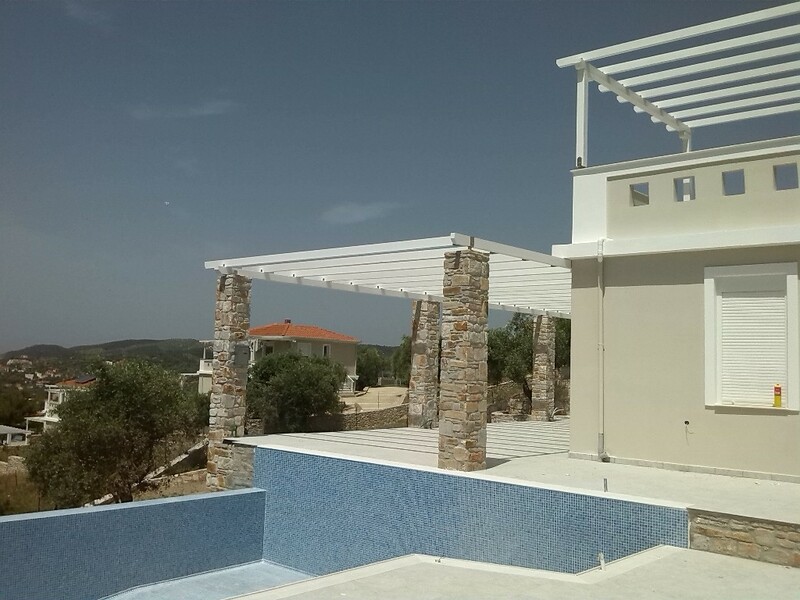 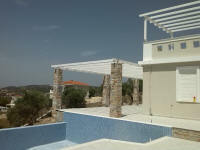 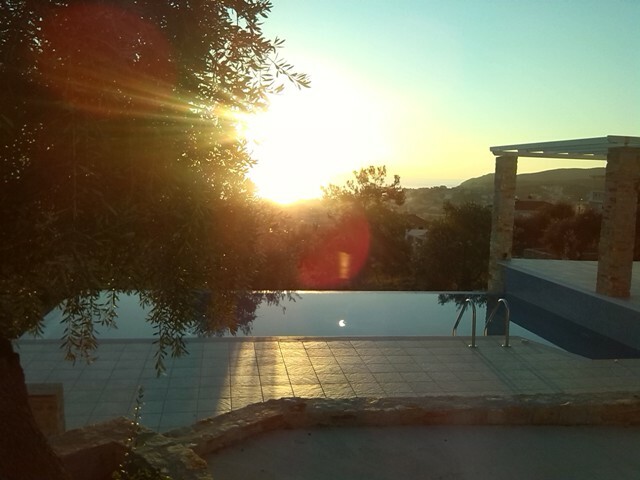 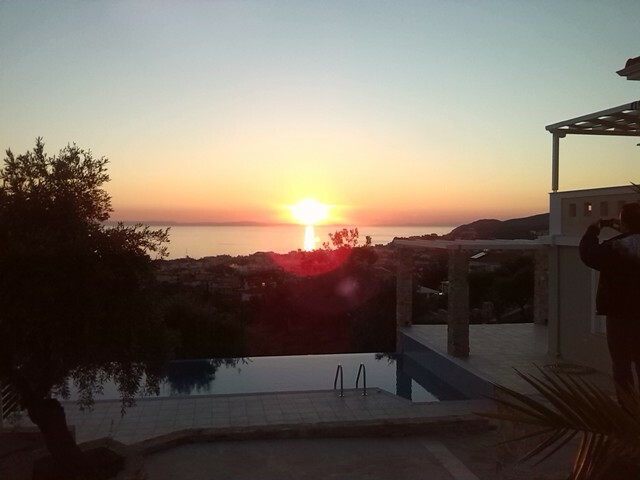 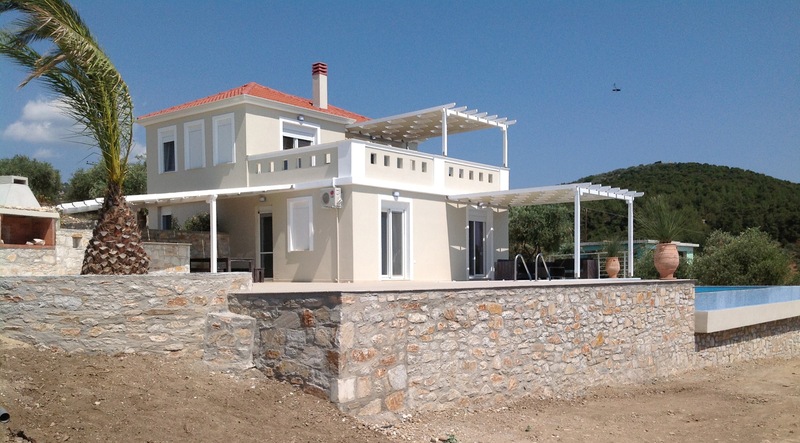 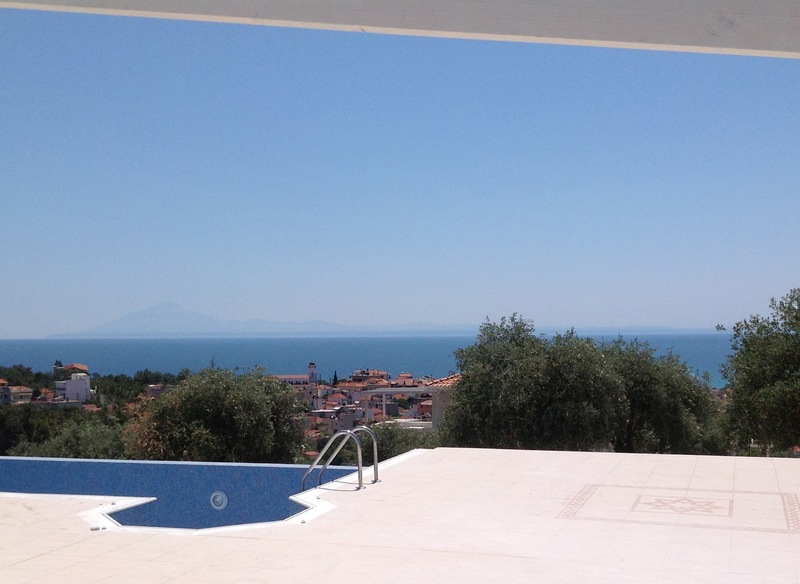 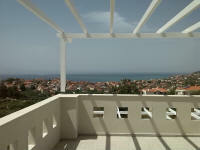 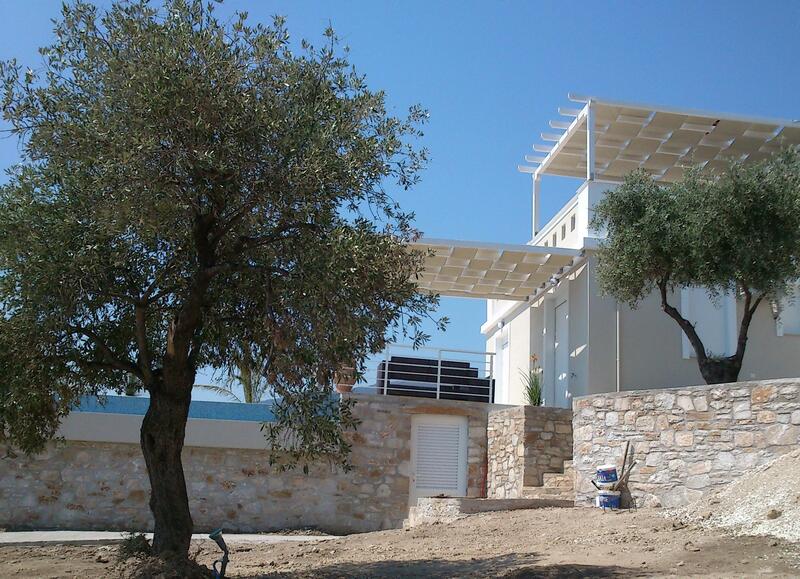 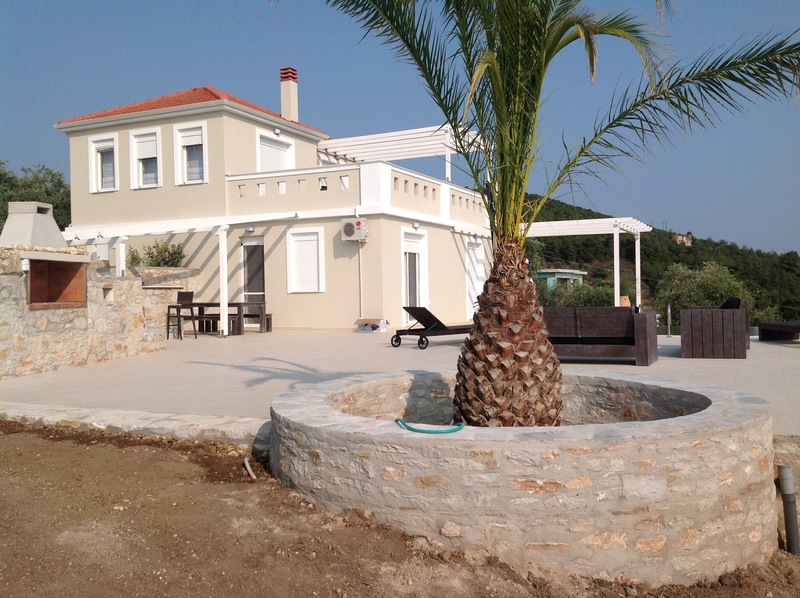 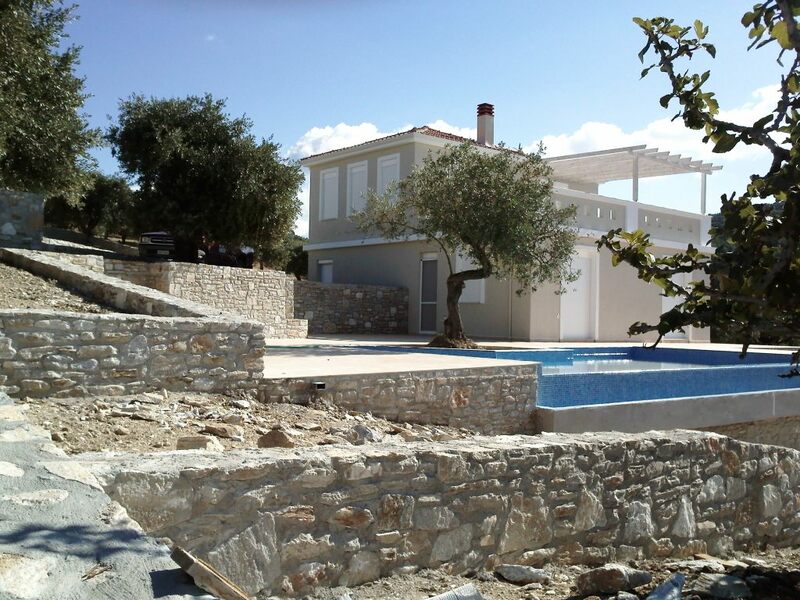 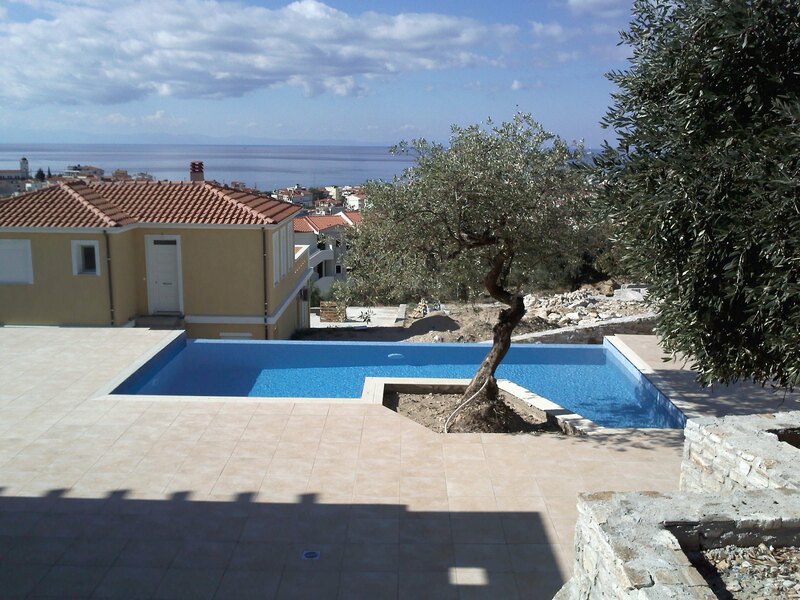 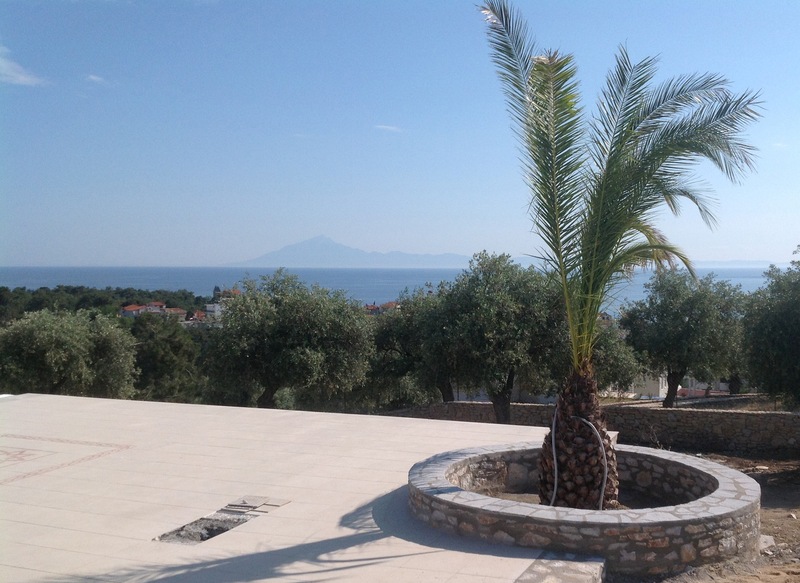 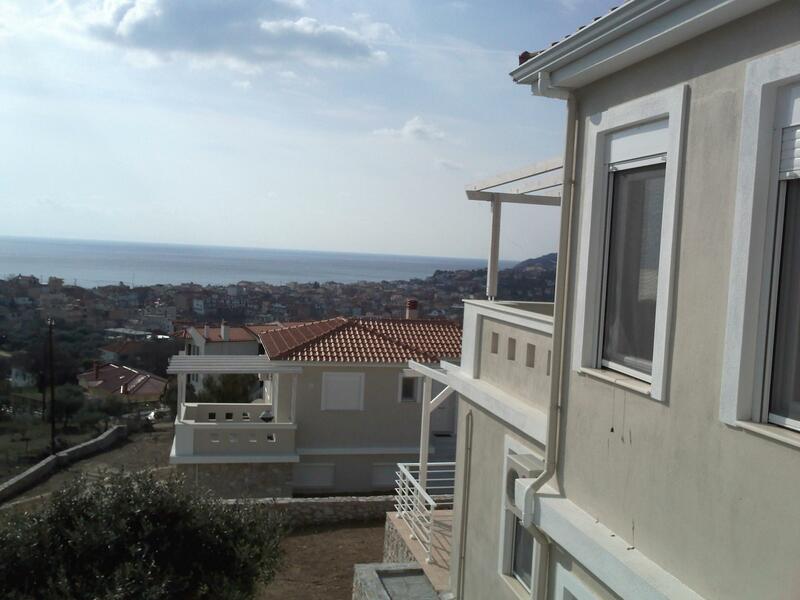 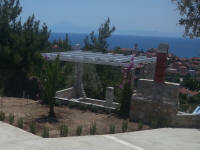 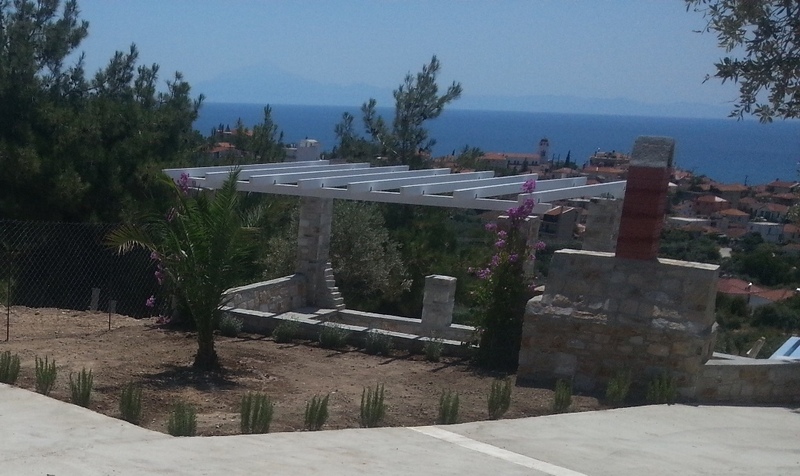 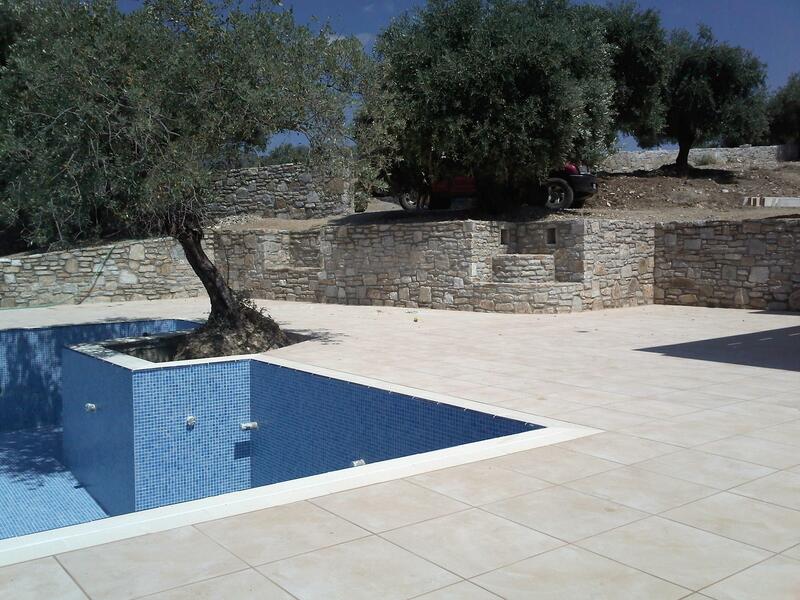 The settlement of 4 villas located on a hill with olive groves, in a plot 8str. 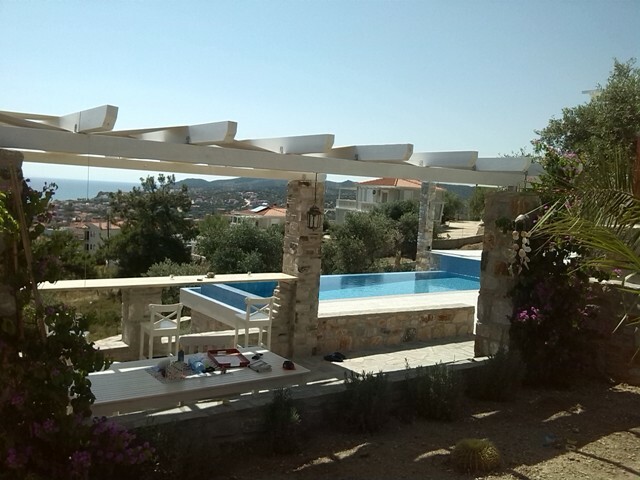 outskirts of the seaside village Limenaria, in the south of Thassos island, Greece, with panoramic views to the sea and Mount Athos, with fantastic sunsets. 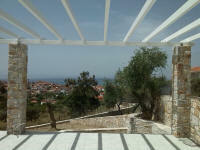 Chosen to construct the building on 2 levels to diminish the volume of the house and harmonize with the environment. 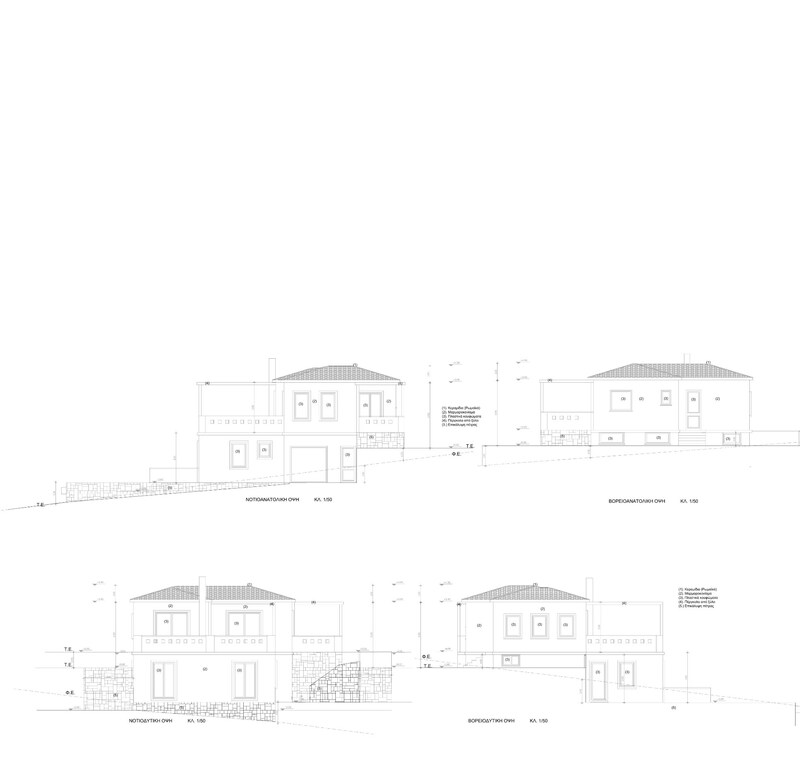 Each volume is ground floor, offering this way, direct access to all sites in the countryside and landscaped, surrounding the building. 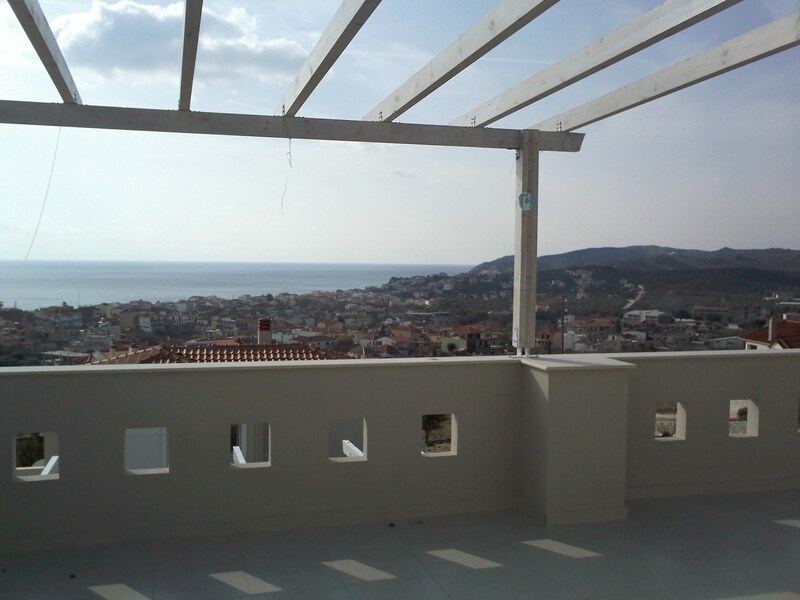 The upper level, facing south includes a living room, living room with fireplace, kitchen and dining room with terrace on the east for breakfast and a second one 50sq.m. 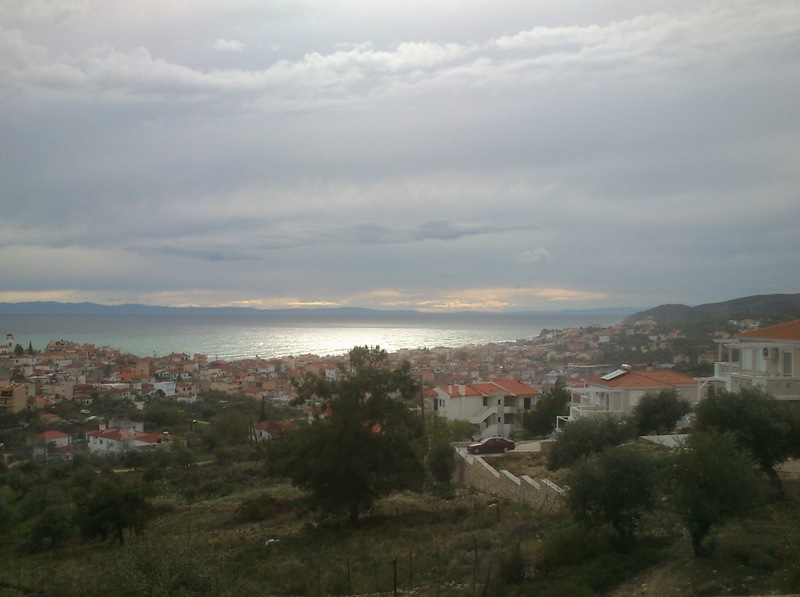 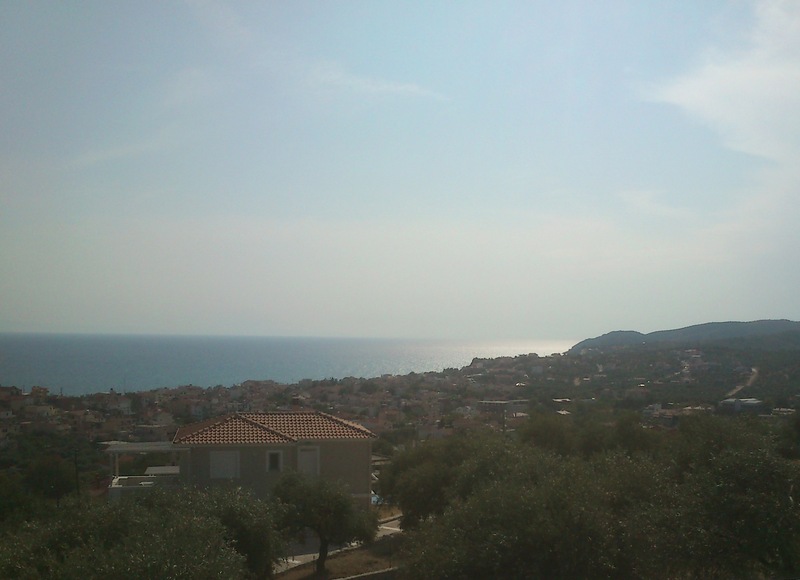 overlooking the bay of Limenaria. 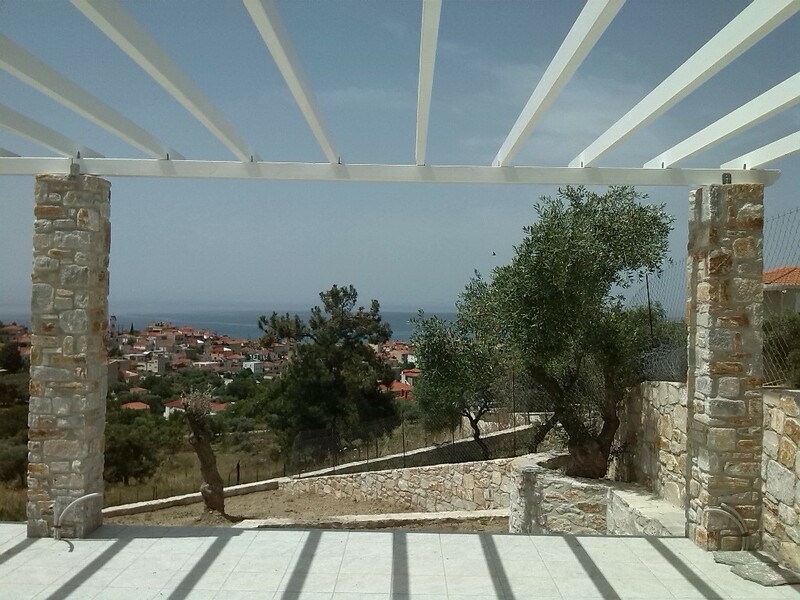 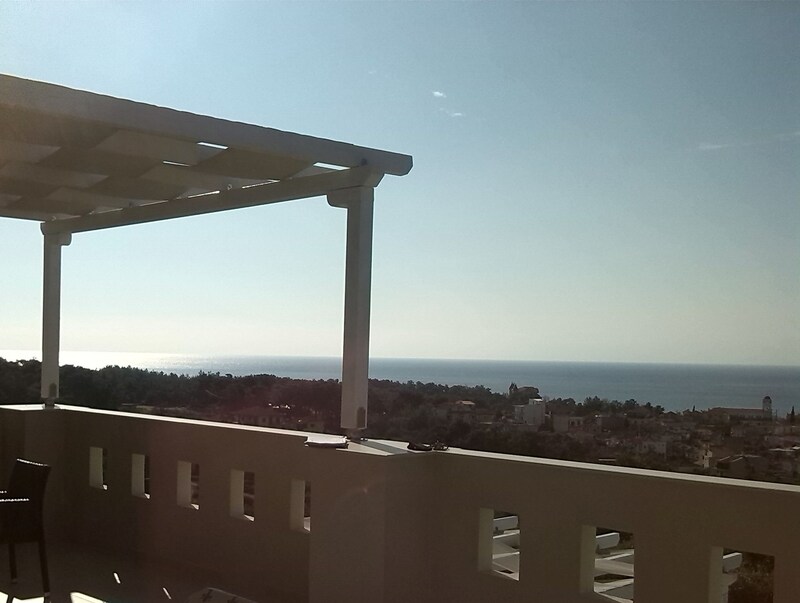 Large openings ensure unobstructed views in all directions, especially towards the sea. 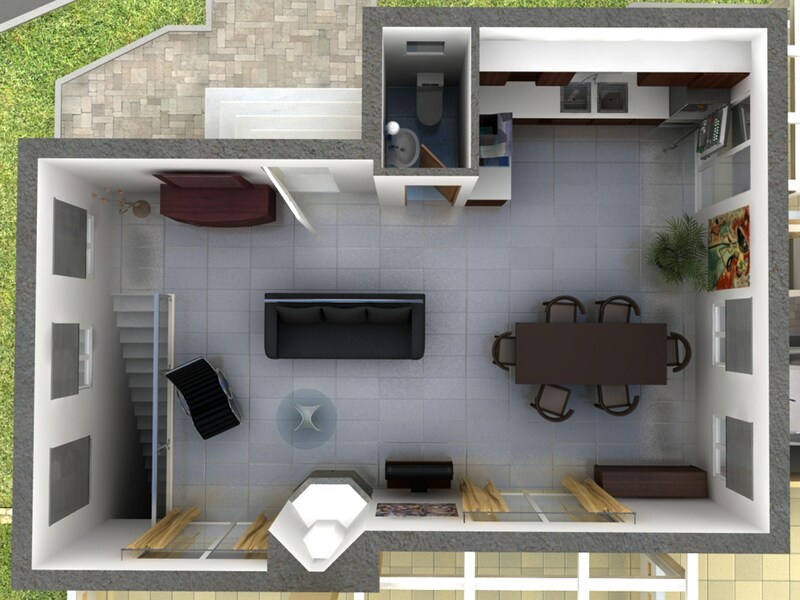 The lower level residence with southwest orientation and half located deep in the soil has a garage 4 bedrooms and 2 bathrooms. 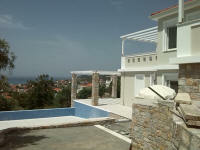 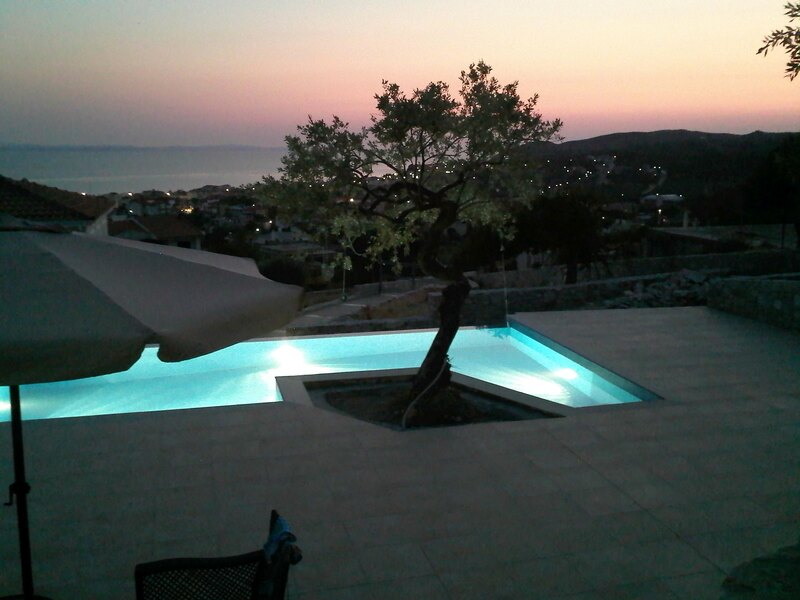 The pool is also 50sqm with glass mosaic, waterfall and integrated with the outside living room with stone facings. 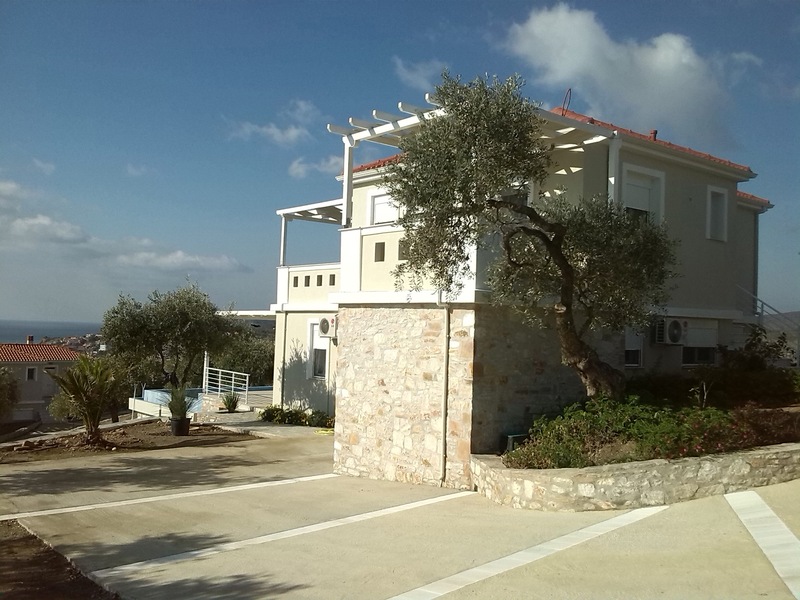 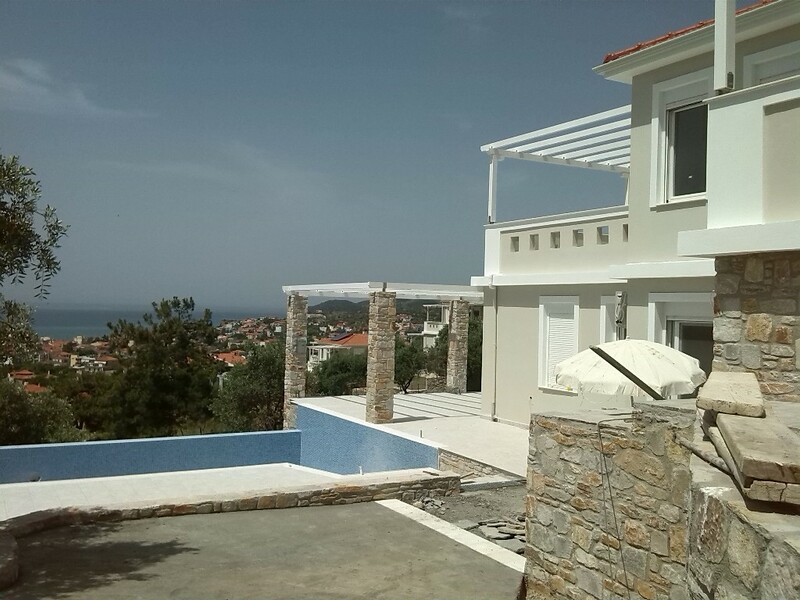 In this small settlement with 4 villas was important to follow the local architectural style Limenarion, which is typical “classic” Aegean and the integration with the landscape. 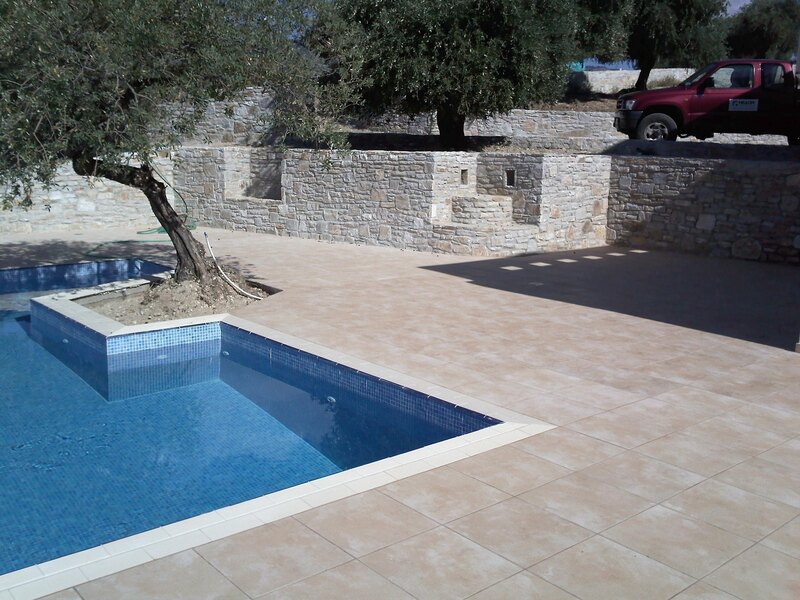 It has be used at the buildings, architectural elements, which are typical at Limanaria and local natural stone for fences and landscape. 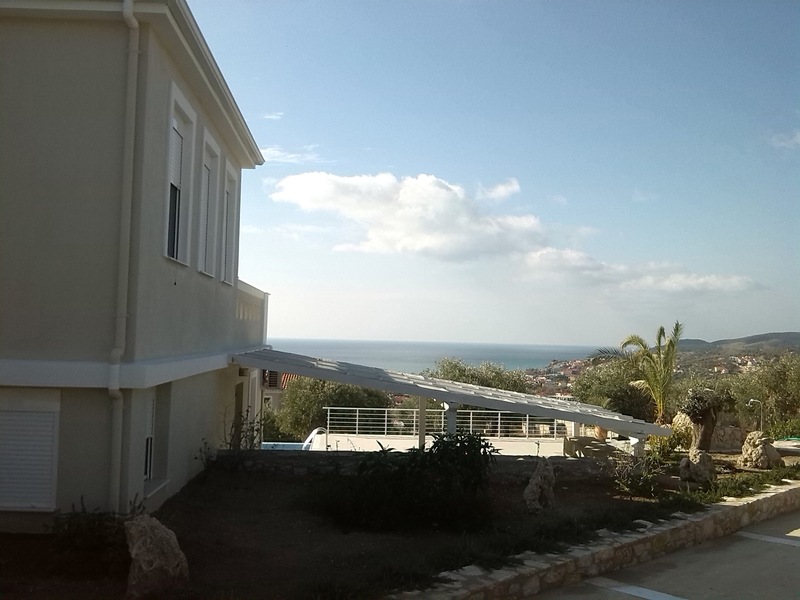 Important role played the view from the living room in a way when someone sits in the living room to have views in every direction and to get the feeling that he is outside. 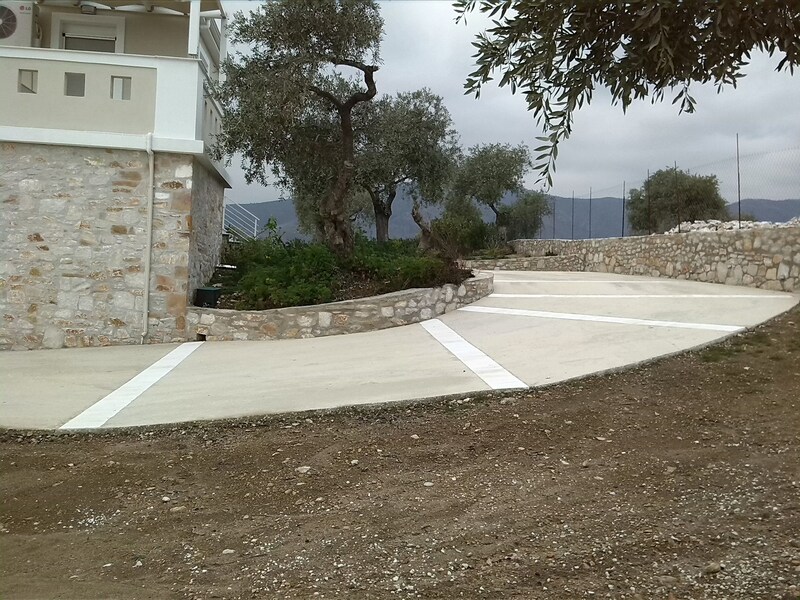 landscape made from local stone. 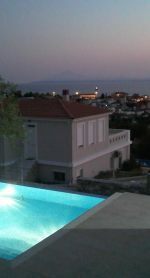 Όλη η Καβάλα σ' ένα κλικ!